No more naps needed not feeling so sluggish! Adrenal Complex is great stuff! Adrenal Complex by Design for Health was recommended by one of my practitioners. It's a great company and great product. It makes a difference with my Adrenal Fatigue. Had Adrenal Complex by Designs for Health before. It is by far the best of any other adrenal support on the market. It helps with my energy and focus with even 1 capsule daily. Are you familiar with your adrenal glands? If not‚ you should be! They sit on top of the kidneys and release hormones and androgens to help you cope with stress. Unfortunately‚ chronic stress can tire out the adrenal glands and may prevent them from working properly. That’s where a supplement like Designs for Health’s Adrenal Complex can help. In order to prevent adrenal burnout‚ your body needs the proper nutritional support. One of the most important ingredients in Adrenal Complex is the tissue-specific glandular material. The adrenal glandulars contain vitamins‚ minerals‚ and protein-like substances that serve as messengers to relevant tissues. The adrenal tissues get the message that they need to strengthen and repair the glands‚ since the glandulars are identical to those already in the body. 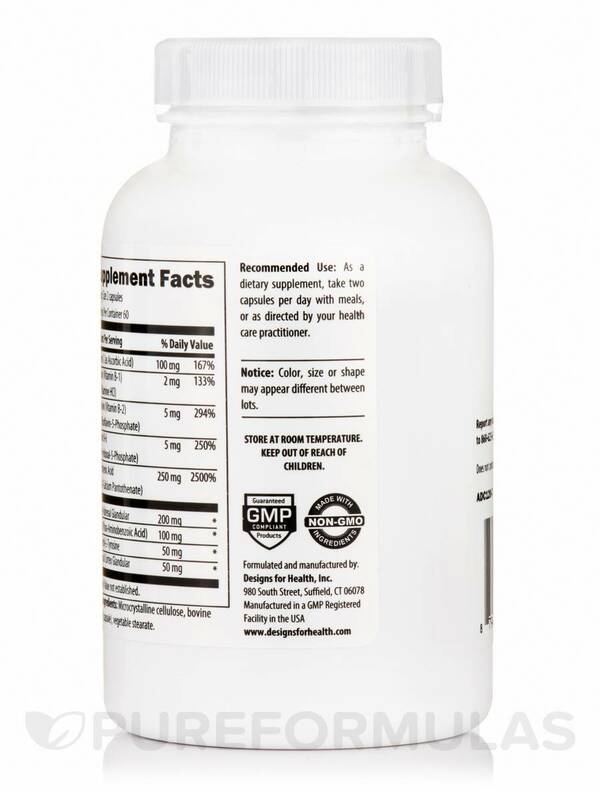 This supplement contains only glandular materials from countries that have been certified as BSE-free; BSE‚ or bovine spongiform encephalopathy‚ is a fatal disease in cattle that’s known as mad cow disease when contracted by humans. The glandulars are also freeze-dried to promote freshness. Each capsule also provides an array of B-vitamins‚ which serve as enzyme cofactors to promote balanced levels of stress hormones. These B-vitamins include vitamin B-1‚ vitamin B-5‚ and riboflavin. Most of them are included in their most bioavailable form‚ allowing your body to absorb and benefit from them more quickly. 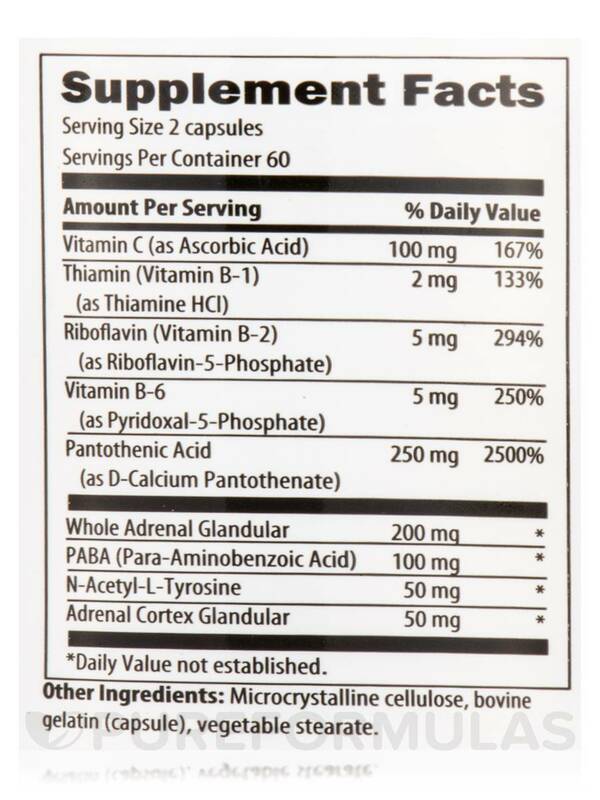 Vitamin C and N-acetyl tyrosine are also present to promote the regeneration of essential catecholamine hormones; since they are released into the bloodstream during stressful periods‚ chronic stress may deplete your natural supply. 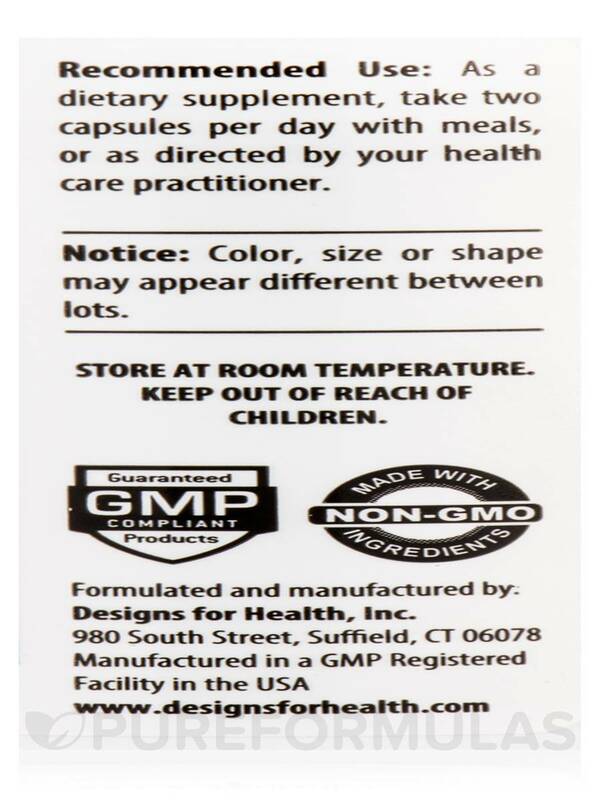 Finally‚ Adrenal Complex by Designs for Health contains the proprietary NatureFolate™ blend‚ which provides active folates. 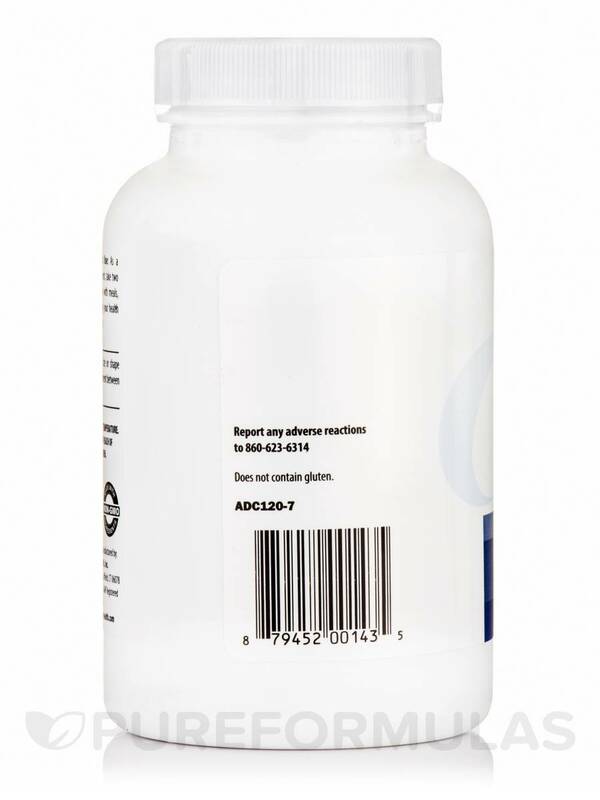 Other Ingredients: Microcrystalline cellulose‚ bovine gelatin (capsule)‚ vegetable stearate. I have a lot of stress in my life. I took the Adrenal Complex by Designs for Health and it did not help at all. No changes were noted. Designs for Health puts out very good product lines. They seem conscientious about quality and giving a fair amount of product for the price. I have to say the price is a bit steep, but the quality is there, so that overrides the price. I believe all of the products are professional grade. Instrumental in healing my body! I had a terrible few months and was diagnosed with adrenal fatigue and low cortisol by my holistic doctor. 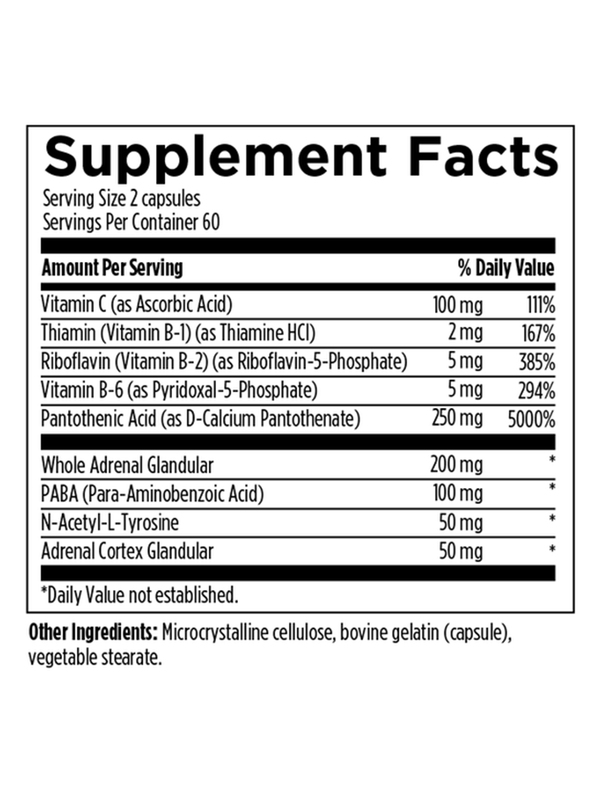 Was prescribed this supplement.Adrenal, Complex by Designs for Health has made an incredible difference to me. I am getting my energy back, not so sluggish and sleepy, and not getting so run down and sick. My mood is better, and my brain feels like it is functioning normal again. I tried AdreCor first, but it was too much for me and made me feel anxious. This was perfect. Great price, no side effects. I was diagnosed with severe Adrenal exhaustion - My acupuncturist - kinesiologist put me on Adrenal Complex by Designs for Health, 2 in the am, 2 in the afternoon after I first went thru detox for candida. It has made a noticeable difference with my daily energy level. I'm doing a lot more and feel a lot better. Adrenal Complex by Designs for Health was suggested by my nutritionist. Seems I have more energy using Adrenal Complex. I've only had Adrenal Complex by Designs for Health for a few weeks, but in that short period of time I've noticed less fatigued, better moods, all around feel good. The pill is easy to swallow and it doesn't upset my stomach. Look forward to following weeks of more positive experience. Easy to swallow and doesn't upset my stomach. After taking one bottle the cortisol levels have tested normal. Prior to starting Adrenal Complex I was diagnosed with adrenal fatigue. 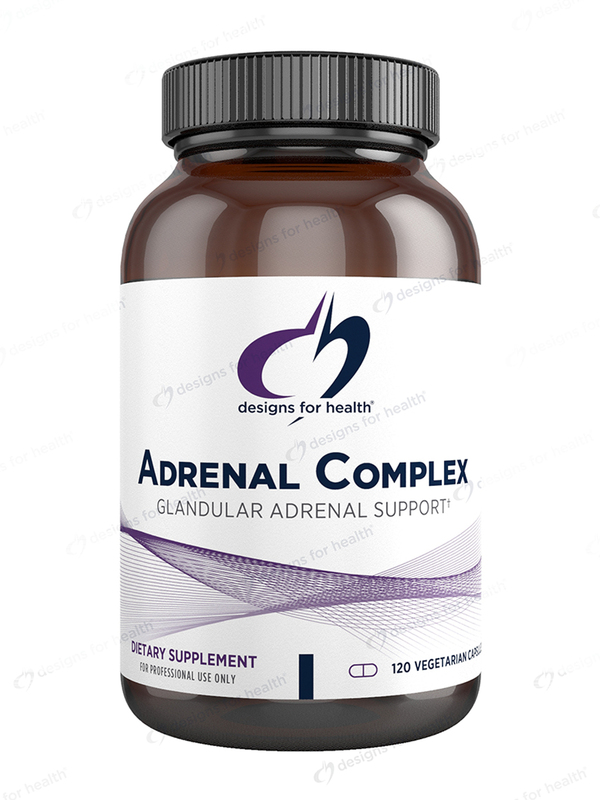 Adrenal Complex by Designs for Health contains most ingredients that are recommended by the experts to assist with adrenal fatigue.